The events listed below are non-holiday related events this December. Event listings are checked at the time of posting but schedules may change without notice. Links are available below to all venues for your convenience. Please confirm information with the website. The Coho Salmon Yesterday, Today, and Tomorrow, 10am-12:30pm, head upstream and try to spot the salmon, Muir Woods National Monument. Film of the Month, 1:30pm - Lady and the Tramp, Walt Disney Museum, San Francisco. Children's Concerts: Making Music! 10am & 11:30am, K-3 grade, San Francisco Symphony, Davis Hall, San Francisco. Managing Fighting & Stress, 7-9pm, Parents Place, San Rafael. Is That Me Yelling? Reduce Stress and Yell Less During the Holiday's, 7-9pm, Parents Place, San Rafael. Bugs Bunny at the Symphony, 8pm, San Francisco Symphony performs iconic scores from your favorite Looney Tunes while the animated shorts appear on the big screen such as What's Opera, Doc? and The Rabbit of Seville, plus scores of new additions, including the cutting-edge 3D cartoons Rabid Rider and Coyote Falls. Join Daffy Duck, Elmer Fudd, and the rest of the Looney Tunes gang for a hilarious night at the Symphony. Kids' Pajama Party with Jim Averback! 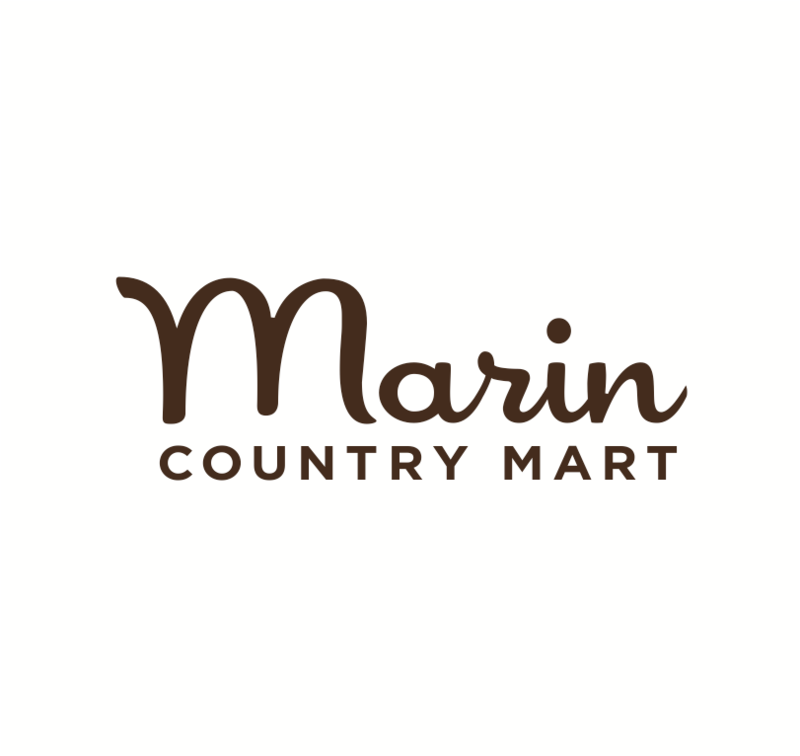 6pm, bring your pjs and teddy to the store for a bedtime story from author Jim Averback, Marin Country Mart, Larkspur. Happy Birthday Walt, 10am-6pm, free admission, Walt Disney Museum, San Francisco. Build Holiday Holiday Stacking Blocks, 9am-12pm, Home Depot, San Rafael. Santa Venetia Marsh Stroll, 10am – 1pm, all ages, low-intensity, one mile hike is a great introduction to exercise for all ages, water and healthy snacks provided, dog friendly dog, Contact Ranger Luke Bishop at (415) 473-2816. Stress-Free Wanderland, 11am-12:30pm, Point Bonita YMCA, Sausalito. Reading & Booksigning: Celebrating Local Children’s Book Authors, 11am. Features the following books: “The Wolf Who Ate the Sky” by Anna Isabel Rauh & Mary Daniel Hobson; “Ouch Moments, When Words Are Used in Hurtful Ways” by Michael Gerhart; “Grandma Wants to Eat My Baby Sister” and “Eat Your Breakfast or Else” by Jackie Broad; and “Phoebe Pope and the Year of Four” by Nya Jade (Young Adult Author), Depot Bookstore & Cafe, Mill Valley. Healthy Parks, Healthy People, 2-4pm, nature walks start with a body warm-up, followed by a guided walk on the Mill Valley-Sausalito multi-purpose path where we will learn some fun facts about local ecology, see an abundance of shorebirds, and enjoy views of the bay, contact Lisa McHenry with any questions at lmchenry@cityofmillvalley.org. Jewelry Making for Middle Schoolers, 2:30-4pm, Mill Valley Library. Headlands Nightlife: Family Night Hike & Campfire, 5:30-8pm, explore the mysterious lifestyle of nocturnal animals, NaturesBridge, Sausalito. Meet the Author, 11am, Gianna Marino, Night Animals, Book Passage, Corte Madera. STEAM Saturdays, 11:45am, ages 3-6, Nighttime, RSVP required 415-485-3322, San Rafael Library. Creative Family Fun, 11am-4pm, Hovering Hawk Hand Puppets, Presidio Officers Club, San Francisco. Healthy Parks, Healthy People, 2-4pm, RSVP, call (415) 561-4323, Presidio, San Francisco. Music for Families with the San Francisco Symphony, 2pm, San Francisco. Candlelight Tour, 6:30-8pm, ages 10+, Reservations are required; please call (415) 556-1693, Fort Point, San Francisco. Sunday Special: Musician Randy Kaplan, 11-11:45am, Mill Valley Library. Children's Story Time, 10:30am, Animal House, San Francisco Botanical Society. Stories on Stage, 12-1pm, enjoy folktales from Asia with Robert Kikuchi-Yngojo, Walt Disney Museum, San Francisco. Talking to Your Kids About Adoption, 7-9pm, Parents Place, San Rafael. Meet the Author, 6pm, Dragon Mist, meet the young authors from Book Passage INK Group, Book Passage, Corte Madera. Raise the Youth, 6:30pm, benefit the Throckmorton Youth Performers, Throckmorton Theater, Mill Valley. Creekside Restoration with One Tam, 9am – 12pm, ages 5+, help enrich important habitat areas at Hal Brown Park and Creekside Marsh, volunteer work is mildly strenuous and involves bending, pulling, and kneeling and hiking on steep and uneven terrain. Hal Brown Park at Creekside, Bon Air Rd., Greenbrae. Turning the Tides, 11:30-2:30pm, meet underwater invertebrates, tide pools and more, Bay Model, Sausalito. STEAM Saturdays, 11:45am, ages 3-6, The Power of Air, RSVP required 415-485-3322, San Rafael Library. Marine Science Sunday, 10am-5pm, Seal and Sea Lion Superstars, Marine Mammal Center, Sausalito. Classics on The Big Screen, 11am, Spirited Away, Lark Theatre, Larkspur. The Iron Giant: Signature Edition, 4:15pm, with Brad Bird, Rafael Theatre, San Rafael. Infant & Child CPR, 7-9pm, Parents Place, San Rafael. Book Club for 4-6 Graders, From the Mixed-up Files of Mrs. Basil E. Frankwieler, Sausalito Library. Red Ball J.T.T. Payday! 4:30-6pm, team match play, tennis games, music, popcorn, hot cocoa, prizes, and free USTA Jr. Membership, all kids must register, Lucchesi Park Tennis Courts, Petaluma. The Magic Flute, 9:55am, The Lark Theatre, Larkspur. Lightsaber Battle SF, 8-11pm, join a massive battle of Jedi vs. Sith, pick a side of the force and use that venerable, ancient, glowing tool: the lightsaber, in the ultimate nocturnal showdown, Embarcadero, San Francisco. Dream Circle Holiday Performance, 10:30am & 11:45am, Bay Area Discovery Museum, Sausalito. A Woodland Winter, 9:30am-12pm, Look for salmon, mushroom displays, winter wildflowers, waterfalls, and more! For information and reservations, call (415) 388-2596, Muir Woods. Teen Holiday Tea Party, 1-4pm, crafts, card making and tea, Novato Library. Creative Family Fun, 11am-4pm, Paper Lanterns, Presidio Officers Club, San Francisco. Classics on The Big Screen, 11am, An American Tail, Lark Theatre, Larkspur. Family and Youth Winter Bird Count, 10am-12:30pm, WildCare Family Adventures and Richardson Bay Audubon team up for this annual favorite at Pickleweed Park, San Rafael. Winter Film Fest, 2:30-4pm, Minions, free popcorn! Mill Valley Library. Nature for Kids: Indian Tree, 10am-1pm, learn about the about the changes in the animal life we encounter as the seasons change. Winter Film Fest, 2:30-4pm, 3 Holiday Favs: The Grinch Who Stole Christmas, A Charlie Brown Christmas, & The Snowman, free popcorn! Mill Valley Library. Teen Double Feature, grade 6-12, 3:30 Princess Mononoke followed by pizza at 6:00 and at 6:30 A Christmas Story. Healthy and unhealthy snacks provided. RSVP required 415-473-2050, Novato Library. Art in the Park, 11am – 1pm, paint, color, or draw the flora and fauna that surrounds us while looking out at the bay. This event is ideal for all ages, supplies, smocks, and healthy snacks, Contact Ranger Sarah Burkhart. Park, entrance is waived for participants, McNears Beach Park, 201 Cantera Way, San Rafael. Winter Break Workshops, 10am-12pm Candy Trains, 1-3pm Paint to Music, Randall Museum. Game & Puzzle Day, 2:30-4pm, Frozen Sing-Along, free popcorn! Mill Valley Library. Winter Break Workshops, 10am-12pm Rocket Reindeer, 1-3pm Parachute Santa, Randall Museum. Winter Break Workshops, 1:30-4:30pm Beeswax Candles, Randall Museum. Sunset/Full Moon Hike to Point Bonita Lighthouse, 4:30-6pm, Marin Headlands. Sunrise Hike at Deer Island, 7 – 9am, all ages, discover the local wildlife and unique views of this wonderful preserve, water and healthy snacks provided, Contact Mike Warner at (415) 473-2816, Meet at the gate on Deer Island Ln in Novato. Classics on The Big Screen, 11am, The Goonies, Lark Theatre, Larkspur. Nature for Kids: Mount Burdell, 10am – 1pm, We’ll take a winter walk at this beautiful preserve looking for cold weather critters. If we’re feeling adventurous, we might even head up to Hidden Lake to see if we can find newts and frogs. Remember to bring lunch. Meet at the gate on San Andreas Dr in Novato. Winter Film Fest, 2:30-4pm, The Incredibles, free popcorn! Mill Valley Library. Winter Film Fest, 2:30-4pm, Fantastic Mr. Fox, free popcorn! Mill Valley Library. LEGO Robotics Workshop, 10:30am-12pm, grade 5-8, advance registration required, Mill Valley Library. Winter Break Workshops, 10am-12pm Build a Medieval Castle, 1-3pm Make a Fire Breathing Dragon, Randall Museum. Teen Triple Feature, grade 6-12, The Hunger Games, starting at 1 sharp, followed by Catching Fire at 3:30 then pizza at 6 and last but not least Mockingjay Part One at 6:30, RSVP required 415-473-2050, Novato Library. LEGO Play Day, 2:30-4pm, Mill Valley Library. Winter Break Workshops, 10am-12pm Sculpt a Superhero, 1-3pm Make a Marionette, Randall Museum.